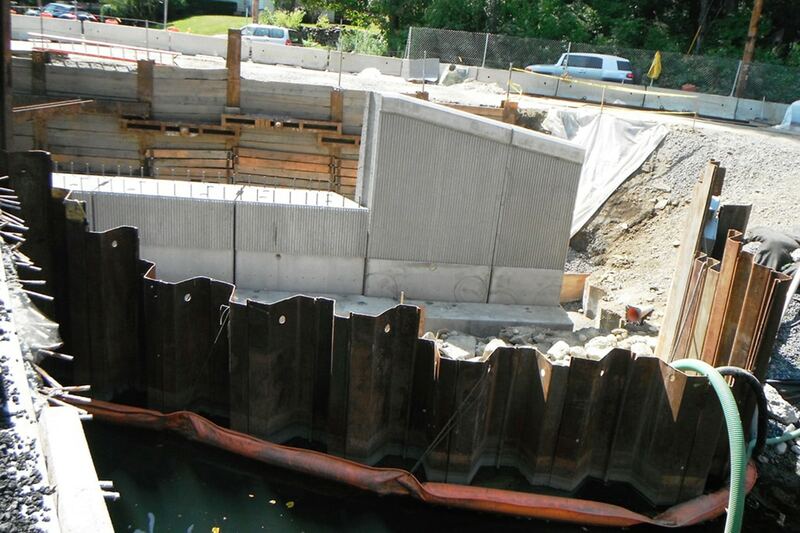 Bridge Replacement Over the Williams River - J.H. Maxymillian, Inc. 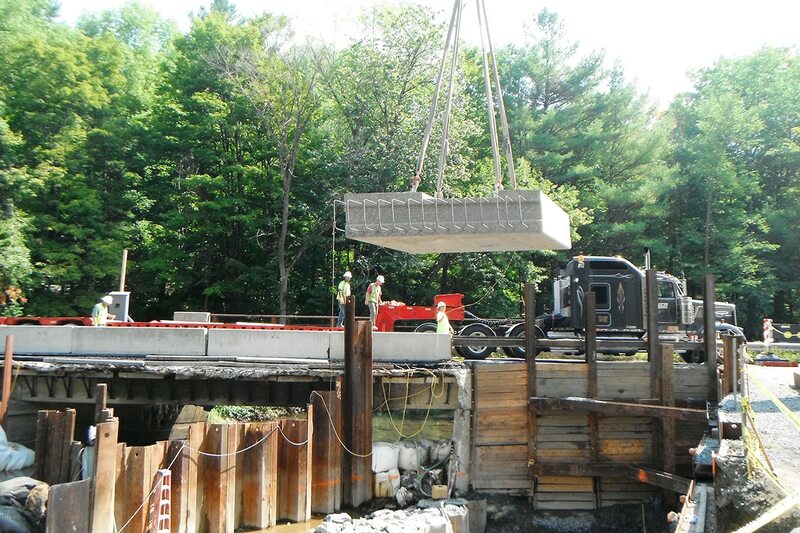 Under MassDOT’s Accelerated Bridge Program, Maxymillian replaced a structurally deficient 1927 bridge that carried two lanes of traffic over the Williams River in West Stockbridge, MA. Maxymillian demolished the old 50 foot, single span concrete T-beam superstructure consisting of a concrete deck and bituminous concrete wearing surface. Our 240 ton crane picked the large, heavy demolition pieces and loaded them onto trucks for off-site removal. 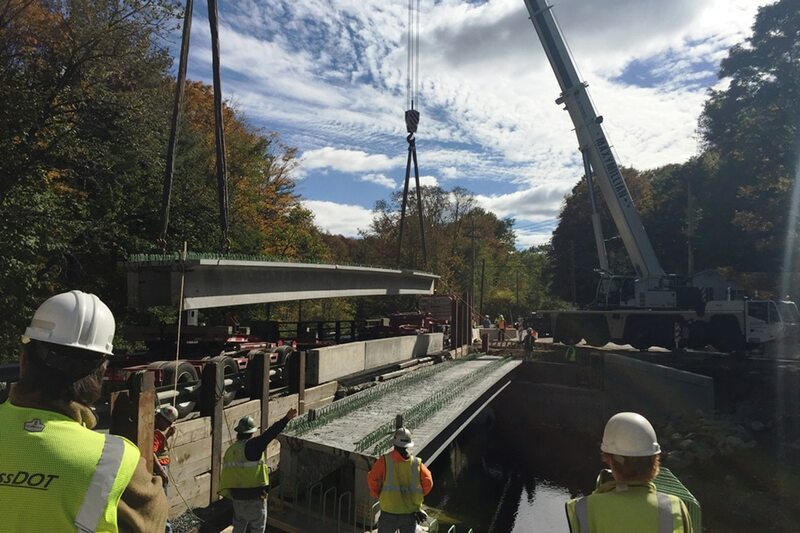 The existing bridge was then replaced with a new 73 foot long, 35 feet wide superstructure consisting of NEXT Beams with a concrete deck. The bridge replacement was performed in 2 stages. An earth support system of soldier beam, lagging and tiebacks was installed down the center of the bridge to maintain traffic flow on one side of the road, while working on the other half. The full scope included installing a new bridge rail, safety signing, wetland creation, and pavement markings.